If it weren't for our waterways, what would we be? 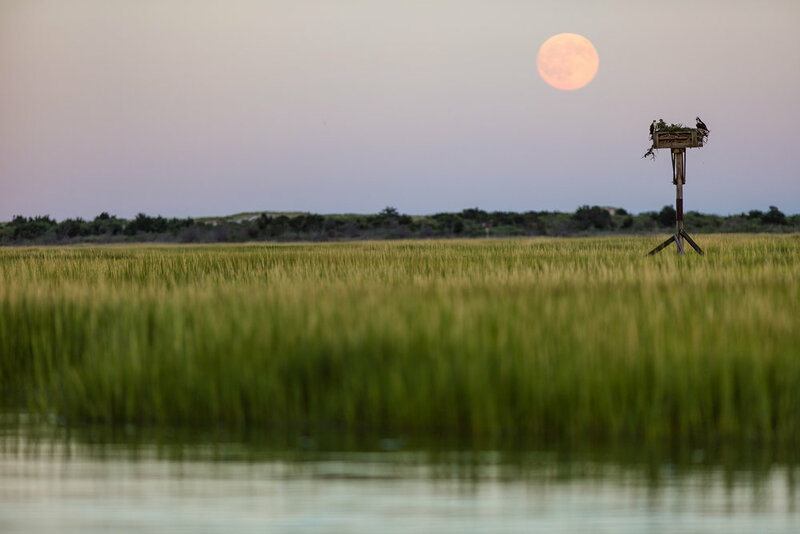 When we look out from Mud City and Old Causeway across the marsh, or gaze over the bay from Parker’s Garage… when we walk up 18th St. from Ship Bottom Shellfish to check the waves or ride our bikes from the Black Whale toward Holgate, we appreciate where we live. 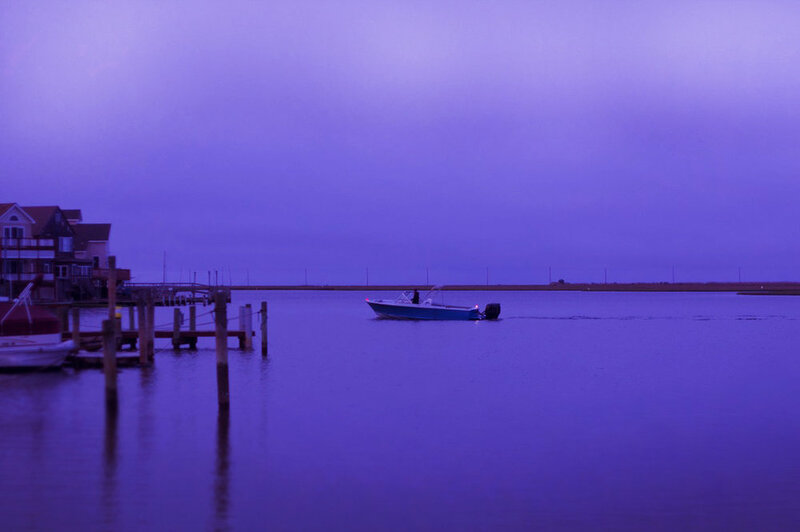 Our lives and our eateries here in the Long Beach Island region are built on our love of this environment – long walks to the tip of Holgate, fall striper fishing, early morning summer surfs with our kids, and endless days crabbing on the bay. This area is almost entirely supported by the influx of visitors that come all year round, but particularly in the summer. Long Beach Island’s reputation is built on our amazing waterways. And the health of these waterways is what has attracted families for so many decades. And that is why we are committed to doing our part for our local environment. Who would have ever thought a straw would make such an impact? It seems harmless enough. But a reported 500 million plastic straws are used and discarded in the US every day. The ones that actually make it to the landfill will never break down. And the rest find their way into our woods and waterways. It’s such a simple thing. 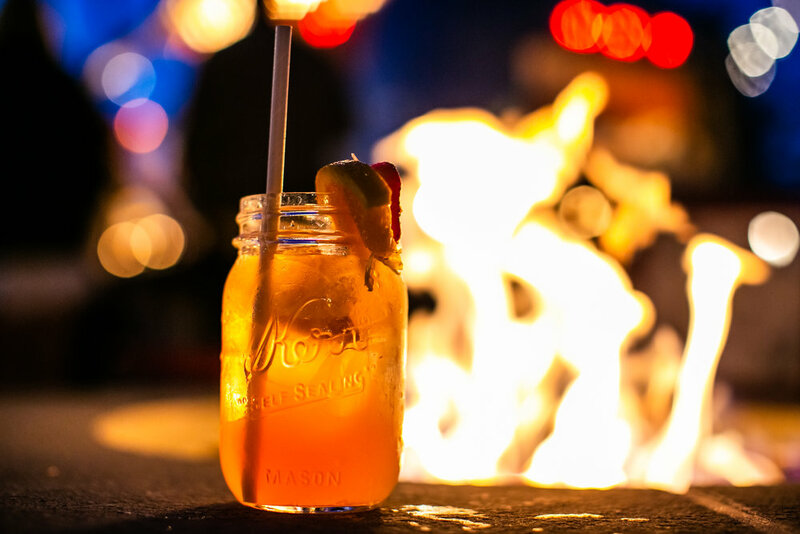 Last winter, we started serving drinks with paper straws at all of our restaurants. And that has led to so much great dialogue around town. Plus, with so much of our seafood sourced locally, why would we ever jeopardize the health of these waters? In fact, we’ve been working on a whole list of changes to make our restaurants more eco-friendly. And as it turns out, the Surfrider Foundation has declared Old Causeway and Parker's Garage official And we're working to get Mud City there too. 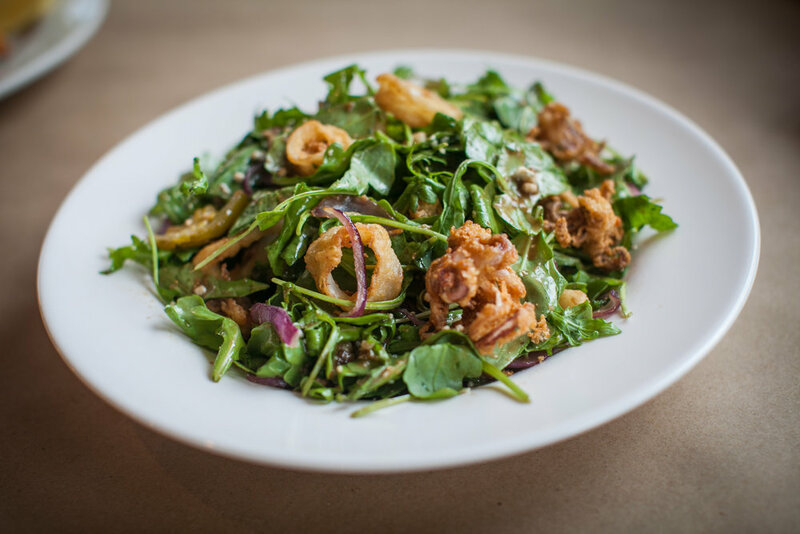 Last year, the Surfrider Foundation, which is dedicated to the protection and enjoyment of the oceans, waves and beaches through its activist network, set forth criteria for Ocean-Friendly restaurants. “I was super stoked to see Old Causeway and Parker's Garage sign up. We didn’t even approach them. They heard about the program and did it on their own. Towns on Long Beach Island and businesses are stepping up and realizing this stuff is impacting them,” says Mid Atlantic Regional Manager, John Weber, of Bradley Beach, who added that he has long enjoyed our food and craft beers. In addition, to comply, we had to pick three additional criteria, several of which we were already doing. They included doing away with plastic straws, no beverages sold in plastic bottles, and vegetarian/vegan options. 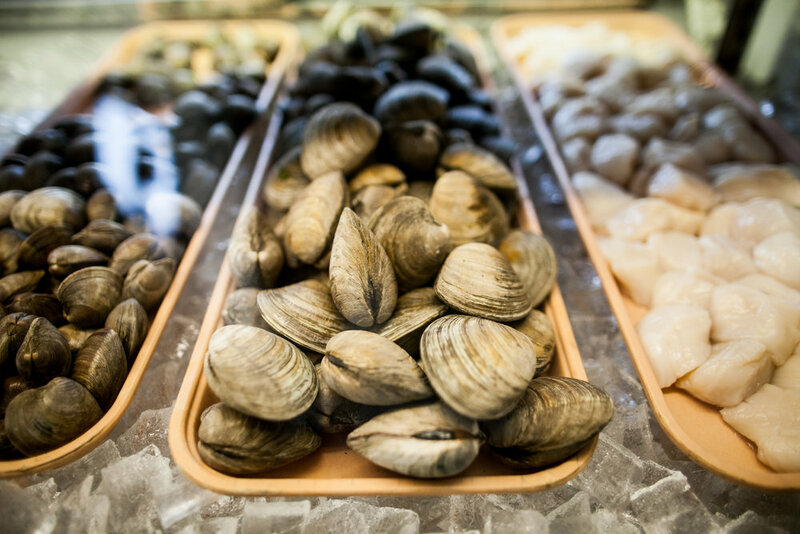 We also pay close attention to the sustainability of our seafood. Using paper bags and not giving away needless plastic wear is easy. Mud City will be the next on our list for Ocean-Friendly status. In addition, Mud City and Old Causeway were the first restaurant in the area to take part in the Oyster Recycling Program with the Jetty Rock Foundation, Richard Stockton University, Long Beach Township and Parson’s Seafood. 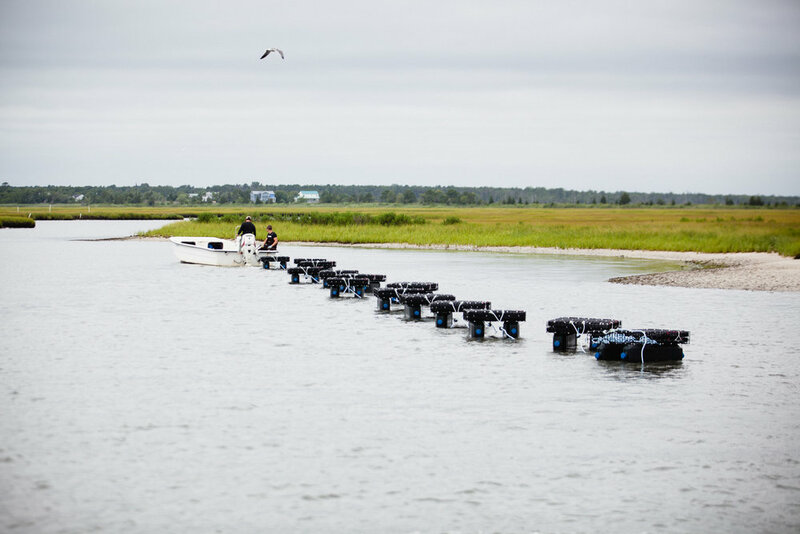 We put our shells aside and they’re brought to Tuckerton where they’re becoming part of a natural oyster reef and bringing the wild oyster population back to our bay. Now all five of our restaurants participate in the program. “When people come to a town and they’re looking for a place to eat,” they can pull out their phone and find out where the closest ocean-friendly restaurant is,” says Weber. He has seen eateries throughout the Mid-Atlantic take it upon themselves to be more eco-conscious and it's gaining momentum. We also took things a step farther last summer, as Parkers Garage entered into an oyster co-op partnership with Barnegat Oyster Collective. As filter feeders, oysters help to purify our waterways. They clean the bay, while producing food and reviving the bayman lifestyle here. We are the only restaurant in New Jersey cultivating its own signature oyster. In 2016, we stopped using chemical pesticides on the property of Mud City and Old Causeway, as our dog and some of our customers dogs love to run around here. We instead spray a combination of white vinegar, salt and dish soap. We have long supported Alliance for A Living Ocean at the LBI Longboard Classic and the Mud Shuttle, which reduces the carbon footprint of all those additional cars driving to Old Causeway. Of course, we realize that there was more life in the bay back when we were growing up. Home fertilizers and over development are detrimental to the bay. But we’re seeing things get better. Our wetlands remain protected by the state. People are becoming more conscious. 2017 was a banner year for crabbing. Yes, we feel like we’re doing our part to protect what we love for future generations. We’re excited to see the business community here stepping up with us in these efforts. But at the end of the day, we see how grateful our customers are. People come out to support us because of these simple changes. We're working on some changes so that Mud City can be next on the list of Ocean-Friendly Restaurants. It sounds cliché, but we only have one earth. We only have this bay and this amazing Atlantic Ocean. Any efforts now are to ensure that our children know the same good times of swimming, clamming and spotting dolphins in our waters.